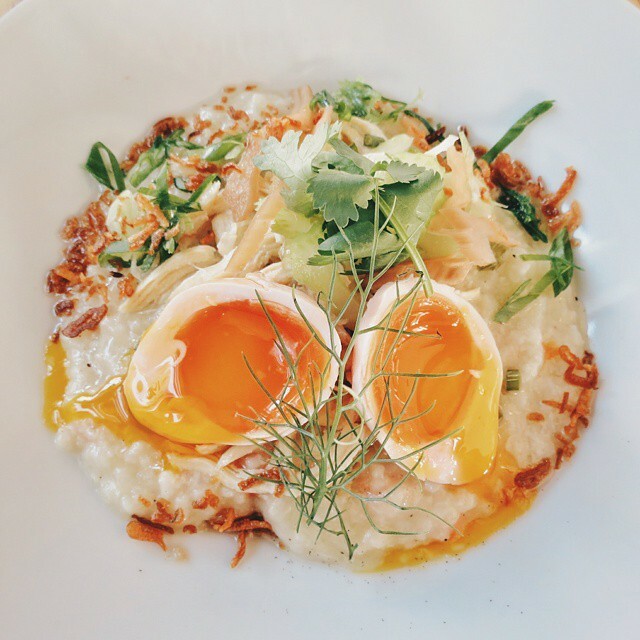 Whether you want to call it rice porridge, congee, or even the Filipino iteration of lugaw, the farm-to-table offerings at Minh Phan’s Porridge + Puffs offers dynamic flavors that are lovingly fussed over. The attention to detail in what is often considered a simple country dish is unsurpassed. Chef Phan achieves layers upon layers of depth in her creations and I found myself at a loss for words as I enjoyed every bite of what I thought would be a simple congee with chicken and mushrooms. This was not my mother’s chicken lugaw, nor was it the gruel-like congee I came to know (and hate) during my weeks travelling through China. This was a deeply flavorful broth accented with ingredients that served a distinct purpose. There were no garnishes for garnishes sake. Meaty ground chicken at the bottom of the bowl contrasted the delicate shredded chicken on top, mushrooms braised in black pepper molasses melded wonderfully with pickled celery, crispy shallots, and gooey soft boiled egg. Yet despite the stark contrast from what I have come to know as rice porridge, there was a familiarity about this dish that made this experience truly comforting. But don’t forget the puffs. 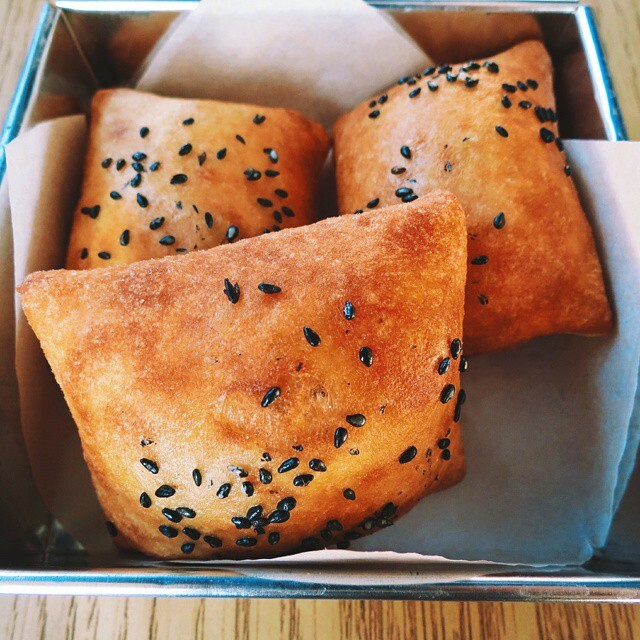 These fried pockets of rice flour come to the table like soft, chewy pillows of mochi magic kissed with a bit of sesame dim sum nostalgia. You can dip these into your porridge, or munch on them as is. My only regret is not opting to bring the dessert version of these home with me — dusted with cardamom or served with condensed milk on the side.